In most of the York Factory Express journals I managed to collect, the Annual Council Meeting for the Hudson’s Bay Company was held in Norway House. That meant that the Gentlemen who traveled with the express to attend this meeting remained with the boats until they reached that post. But in some years, the Council Meeting was at Red River. The gentlemen left the boats at Carlton House, on the North Saskatchewan, and made their way on horseback to the Stone Fort [Fort Garry]. Looking at the book, Historical Atlas of Manitoba: A Selection of Facsimile Maps, Plans and Sketches from 1612 to 1969, by John Warkentin and Richard L. Ruggles [Manitoba Historical Society, 1970], I can see from the map on page 218, that if they traveled in a straight line between Carlton House and Fort Pelly, they would have followed a river south east toward the South Saskatchewan River. Crossing the South Saskatchewan, they probably passed south of the “Birch Hills,” and proceeded across country until they fell into the north west end of the Assiniboine River, close to the “Nut Hills,” or Nut Mountain. That route would bring them straight to Fort Pelly, on the Assiniboine River. The distance from Carlton House, on the North Saskatchewan River, to the Stone Fort [Fort Garry] was 479 miles; the distance between Fort Garry and Fort Ellice was a good two hundred miles. This was not a short journey. Of course, there was no straight line travel in those days, and Douglas did not follow what we now call the Carlton Trail. So now we have the problem of figuring out where they were by his names for the rivers and lakes he mentioned. Here is James Douglas’s journal of the trip from Carlton House to Fort Garry, in the Red River district. [May] Monday 11 . Left Carlton at 8 o’clock this morning with 6 men, 3 Indians and 7 [HBC] officers, forming in all a party of 16, with 2 boys on their way to Red River school. [His journal does not identify these two boys, so they probably did not come from New Caledonia.] Our course from Carlton was about east by North [South] during the whole of this day’s journey. The country is of a diversified character, being in some places open & level, in others covered with aspen trees and the whole is intersected by numerous small Lakes; 18 miles from the Fort we cross the South branch of the Saskatchewan, commonly called Bow River. It takes its rise in the Rocky Mountains [&] runs parallel with the Main river. We encamped 10 miles beyond Bow River in sight of Montana Hill. Tuesday 12. Our march today was continued at the same rate as yesterdays. Encamped on the bank of a small brackish lake; 28 miles. Dry weather. Alternate plain, wood, & lake. Wednesday May 13. Raining all day. Encamped at a small Lake — Coteaux in part covered with wood, and in others clear. [This journal has been transcribed and the original lost. I think probably that “Coteaux” is country]. Thursday 14. Encamped at a small pond of water in the midst of an extensive prairie. Country same as yesterday. Crossed numerous buffalo paths. Friday 15. Passed a large lake of brackish water. Encamped at a small river. low, level country. Sunday 17. Rained heavily during the latter part of the day. Encamped on a bare hill overlooking a small lake. In the morning extensive prairies; the afternoon continued woods — swamps and ponds of water. Monday 18. Arrived at Fort Pelly in the afternoon. Our route lay through a most delightful country during the greater portion of the day. Leaving Carlton the country is level; generally open, and here & there covered with poplar and willow copses and small Lakes of brackish water; and this description may apply almost to the whole of the country through which we have already passed. Friday 22. Encamped 4 hours march from Shell River. Our progress is very slow owing to the reduced state of the horses. Raining both today and yesterday. Country partially wooded with poplar mixed with a few oak & maple trees. Saturday 23. Raining. Reached Shell River at 12 o’clock. From the swollen state of the river obliged to construct a raft by means of which we crossed over. Encamped 12 miles beyond. Beautiful country today; hills gracefully sloping into extensive valleys groves of wood and streams of water with a thousand other indescribable beauties all tending to embellish the scene. On page 225 of Historical Atlas of Manitoba I can see that the Shell River flows from more or less between Duck Mountain, and Riding Mountain, and enters the Assiniboine River north of Fort Ellice. Pine Creek flows into the Assiniboine south of the Fort Ellice — no Beaver Creek, nor Eagle Foil River (see below) shown. Sunday 24. Fine weather. Passed 20 miles inward of Beaver Creek where there is a trading post. Passed the Eagle Foil River in the afternoon. Encamped at a small Lake. Fine country. Monday 25th. May. Fine weather and very warm. Passed the N.E. end of Shoal Lake at 3 o’clock pm. Encamped at a small lake. Open country — tufts of willow — undulating. In Historical Atlas of Manitoba, Shoal Lake appears on page 181, in a map that shows the later railways. In this case however, the railway went up the west side of Shoal Lake, and it appears that Douglas rode past the north end of the lake and camped at a lake to the east. Tuesday 26. A little rain. Country as yesterday. At 10 o’clock crossed the Sascatchewanees or Rapid River. Encamped at a small river. Wednesday 27. Raining. Encamped at the White Mud River. Hill & valley. Thursday 28. Passed the White Mud River twice before breakfast. The banks of this river covered with oak, maple, ash & poplar. Our afternoon’s journey through an open country, and so perfectly level that on the border of the horizon the sky and the verdant plain seem to blend and unite with one. Encamped at River Champignon. In Historical Atlas of Manitoba, page 169, I found that “Riviere des Champignons” was also identified as Musk Rat River, which flowed from the north into the Assiniboine River west of the “Portage de la Prairie.” This is just west of the bottom of Lake Manitoba, as is, I presume, the little river flowing into the White Mud River in the map on page 219, above. Friday 29. Open level country. Encamped at Wm. Beliour. Wm. Beliour will be one of the settlers, I presume, but I have not identified him in The Silver Chief: Lord Selkirk and the Scottish Pioneers of Belfast, Baldoon and Red River, by Lucille H. Campey [Toronto: Natural Heritage Books, 2003]. 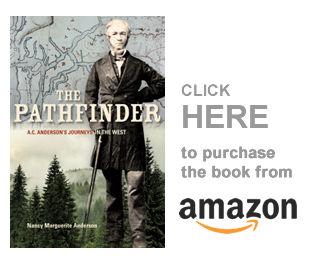 However, on page 165 she has a map of the Carlton Trail, and it does run from Upper Fort Garry, to Portage la Prairie, to Fort Ellice, and then north and west to Orcadia and finally Fort Carlton. Douglas’s party did not follow that route. Saturday 30. Encamped at Fort Garry. Wednesday 10th June. Today at 4 o’clock in the afternoon left the Stone Fort after a stay of 10 days in the Colony. There appears to be a natural division of this settlement into five separate districts, namely — following the order we observe in ascending the rivers — The Lower District, composed of Native Indians, the second of Orkney men; the third Scotchmen, the fourth above the Forks, Canadians; and the fifth at the White Horse Plain half-breeds. Wednesday 17. Reached Norway House in the afternoon. He would make his way down the Hayes River to York Factory, where he would rejoin the Saskatchewan brigades and make his way home again. His journal is quite descriptive and a joy to read, for the most part. His journey to Red River is the only part of the journal he neglected to write in every day. It is, however, easier to keep a journal when you are traveling by York boat, than when you are riding a horse through unfamiliar country for days at a time. Nancy, Thanks for the Carlton to Red River post. I got excited when you mentioned the two boys bound for RR Academy. They were Andrew Dominique Pambrun, age 14, my g grandfather and Pierre Chrysologue Pambrun, age 12. They left Ft. Nez Perces 22 March “with the Express bound for York Factory, in charge of James Douglas . . .” to quote from AD’s autobiography. From here it gets confusing. According to AD they crossed to the Athabasca, to Edmonton and floated down the Saskatchewan to Norway House where the waited for weeks for a “schooner” to Red River. AD does describe the “prairie” south of the Saskatchewan in detail. I’m confused. Wonder if the Express split, with the officers going to RR and the Edmonton furs to Norway House and York Factory? Yes, the boats went on to Norway House and Hudson Bay, but the gentlemen rode down to Red River. They would reach Hudson Bay and then return with the express boats. They were weeks ahead of the other expresses, as James Douglas was anxious to get to Fort Garry, to be made Chief Trader (I think Trader, not Factor). They left Walla Walla March 11th, the boats at 11 o’clock, and the horsemen soon after. Douglas objected to families traveling with the Express, and so would not have been pleased at all! (It was apparently John McLoughlins orders, however). The kids would have gone upriver with the boats to Fort Colvile, while Douglas and others rode across country to the same place. So, no mention in this section. Leaving Fort Colvile on March 25th, there were 4 passengers and 23 working men: Douglas, Frances Heron, and the two boys? 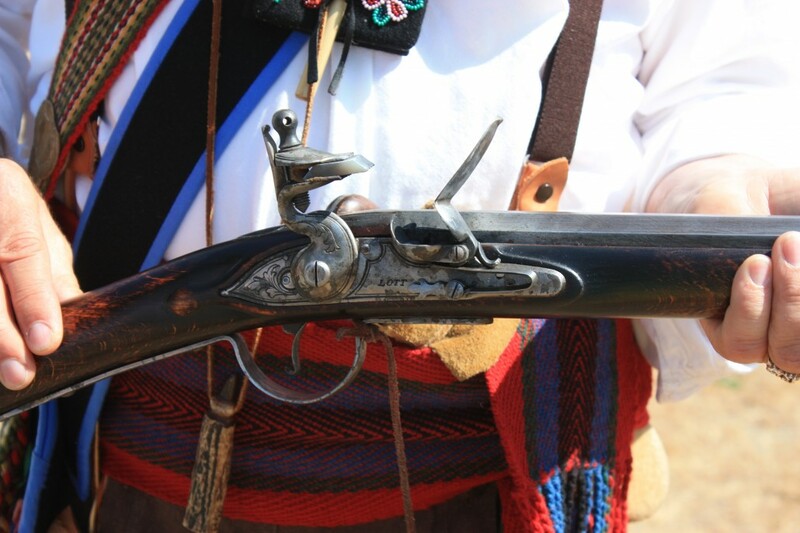 Four passengers and eight men left Jasper’s House for Fort Assiniboine on April 21st, but Douglas left the men with families behind and proceeded downriver ahead of them. Lots of ice in the river so they only reached Assiniboine April 27. The boats left behind (which carried the kids, probably) caught up to Douglas’s boat and so they all arrived at Fort Assiniboine at the same time. Then over the Athabasca, or Assiniboine, Portage. They left Edmonton in the York Boats May 2nd and arrived at Fort Pitt May 5th, no mention of kids. They reached Carlton House on May 9th. So even if I have no further information about the kids, you have the dates of travel. I bet they travelled upriver in a second boat from Walla Walla, as Douglas got further information and letters from the south after his arrival at Fort Colvile. He said the news from Walla Walla was dated 21 March, so that’s what happened! No wonder he was cranky about families as he was heading up the Columbia north of Fort Colvile!